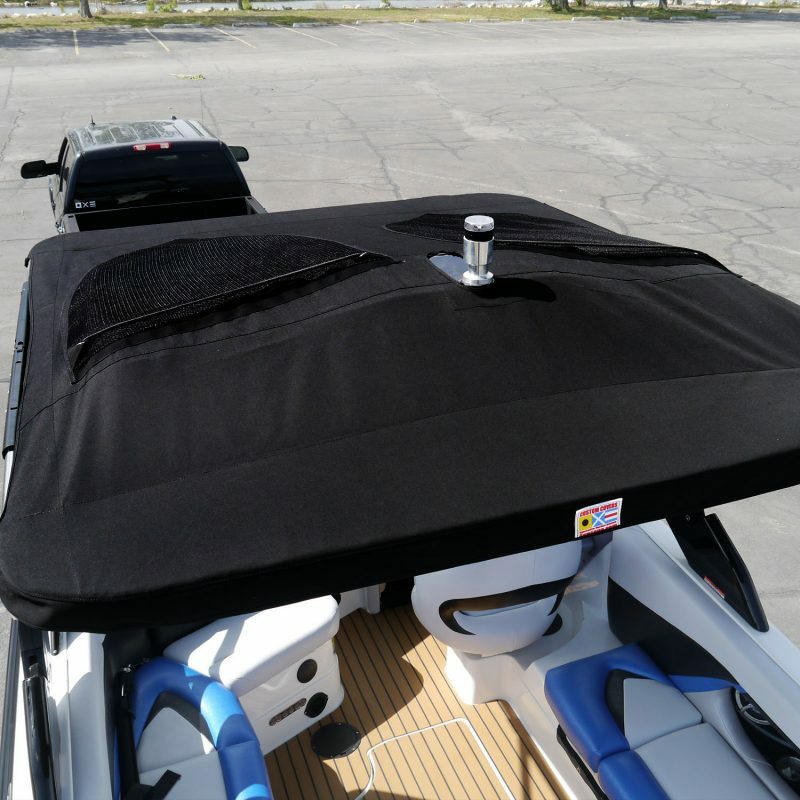 How often will you put up and take down the bimini top on your boat? One… maybe two… thousand times? 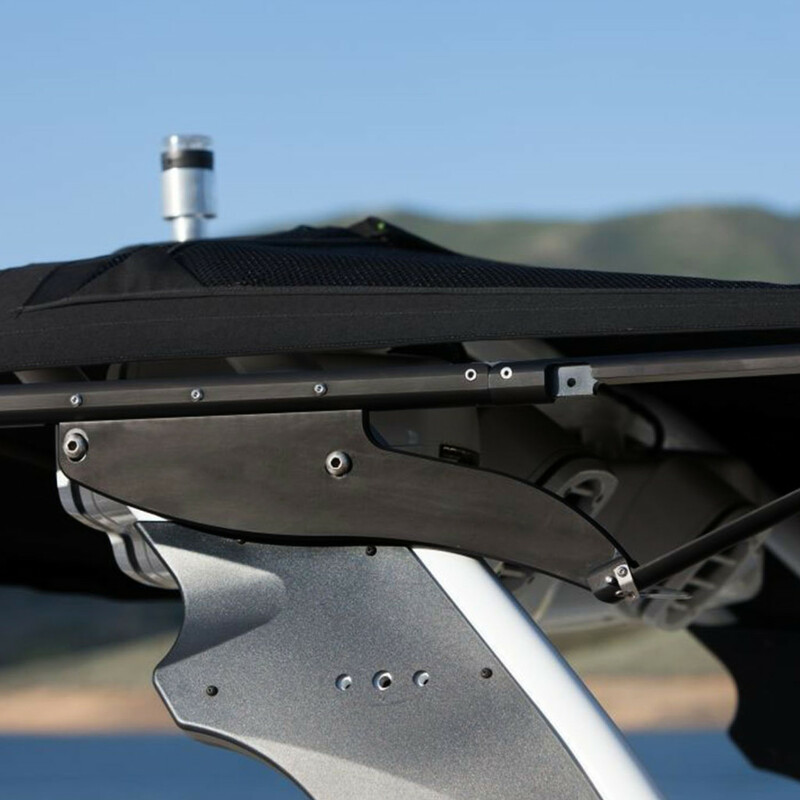 Other than the steering wheel and the throttle, the bimini top is probably the most used feature on any boat. That said, most biminis are just awful; they take 2-3 people 5-10 minutes to put up and take down, barely cover the driver (if that), and rattle like an old tin can. 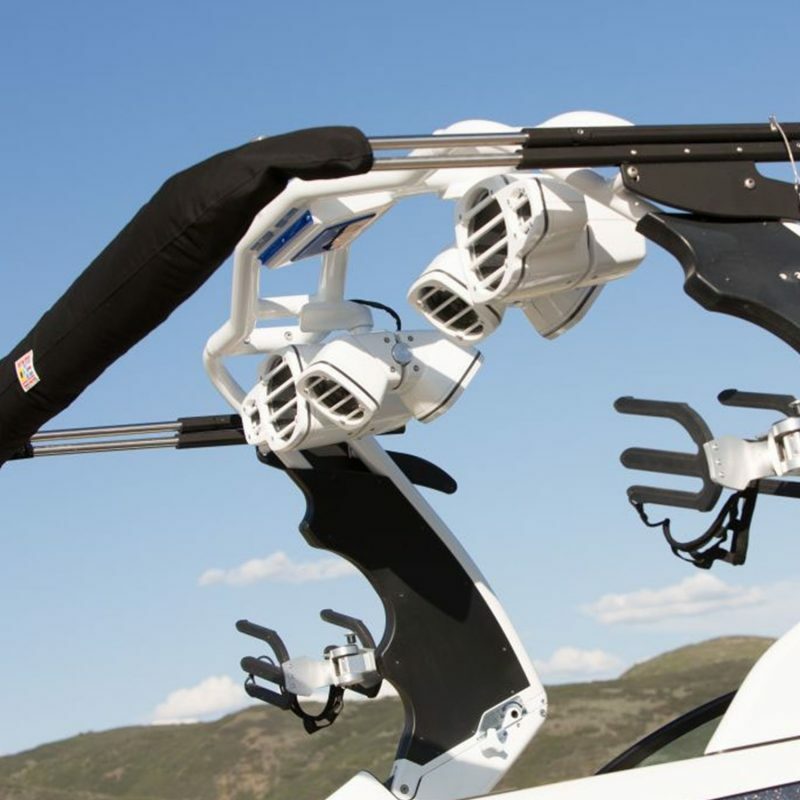 Seriously, how are boat companies getting away with making this stuff? Introducing the Sewlong Folding Canopy Top v3 – a top that opens and folds up faster, covers more area and is more solid than any bimini on any other inboard boat; oh, and it has built in surf board sleeves on top. 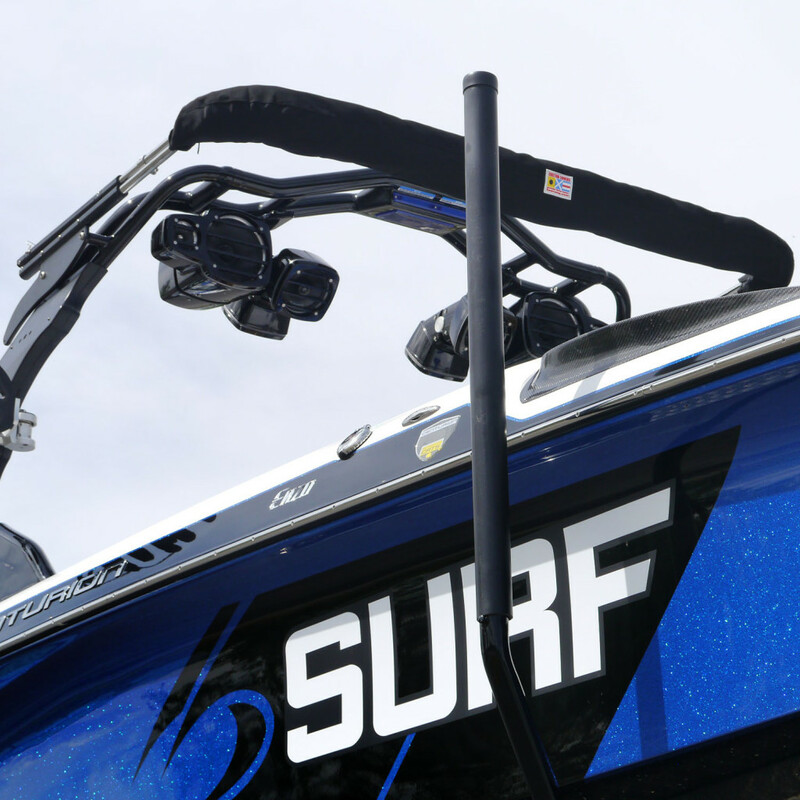 The FCTv3 is custom built for the Centurion Maximus tower here in Salt Lake City, UT by Sewlong – a company that has been designing high end marine canvas products since 1999. 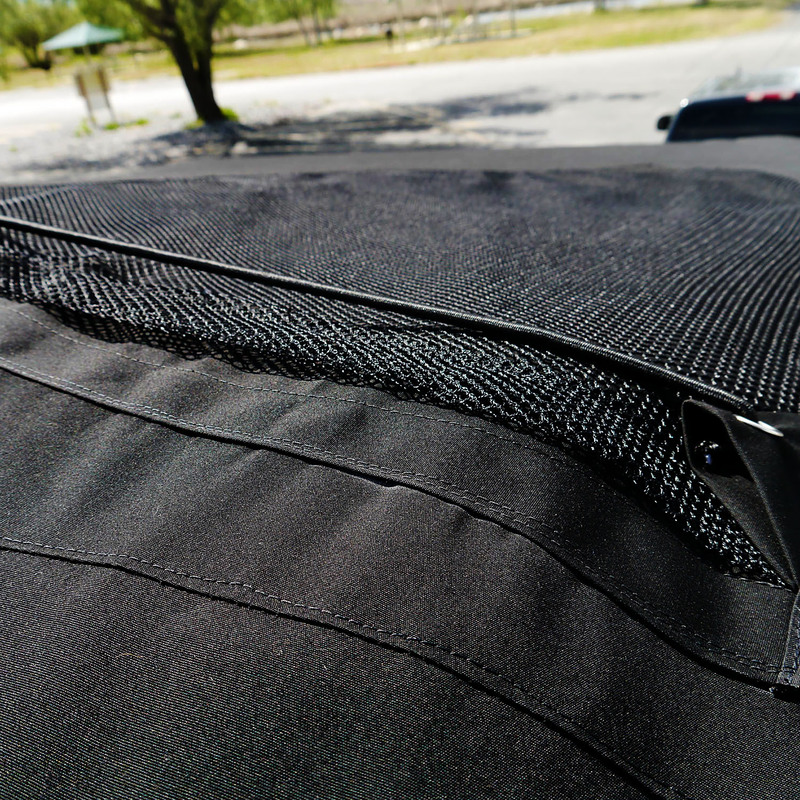 This patented system is so awesome that it was awarded the Industrial Fabrics Association’s International Outstanding Achievement Award – an award covering not just marine applications, but fabric work in all industries within 42 countries. To our knowledge, it is the only marine canvas product to ever win this award. 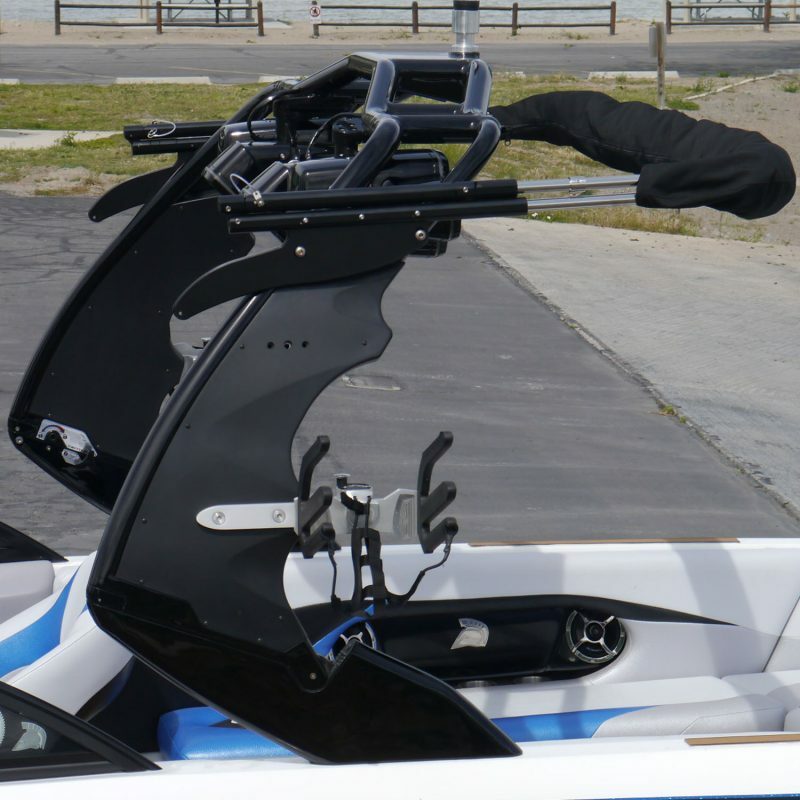 The top covers an astounding 42 square feet (77″ x 78″) of area – able to shade the entire cockpit on some models and giving relief to the driver no matter the angle of the sun. 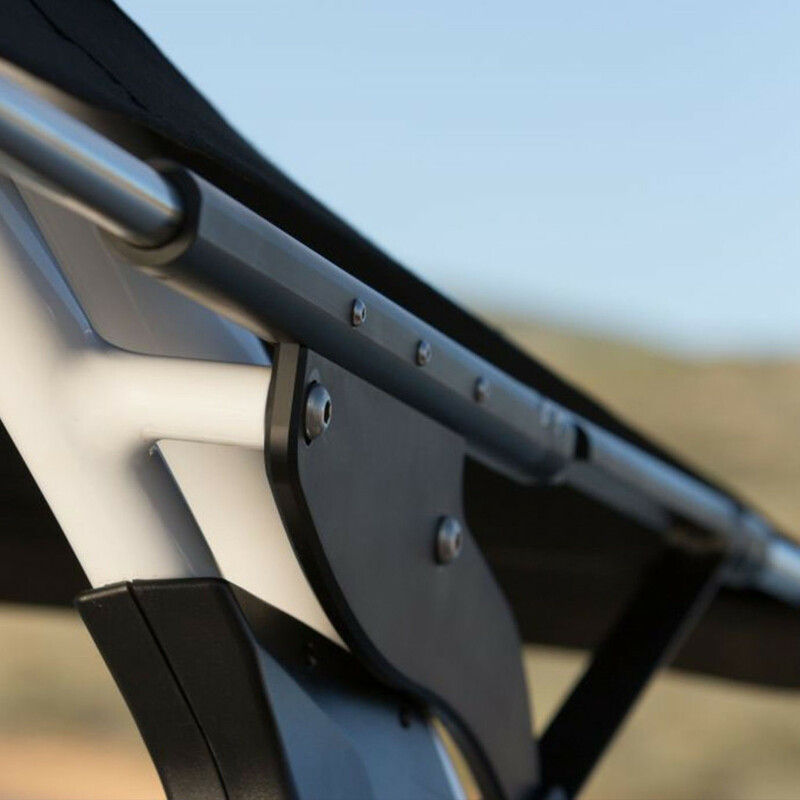 The top is manufactured using custom-machined brackets, 1″ stainless steel tubing and 9 oz. reinforced Sunbrella fabric (most other tops are 7 oz. 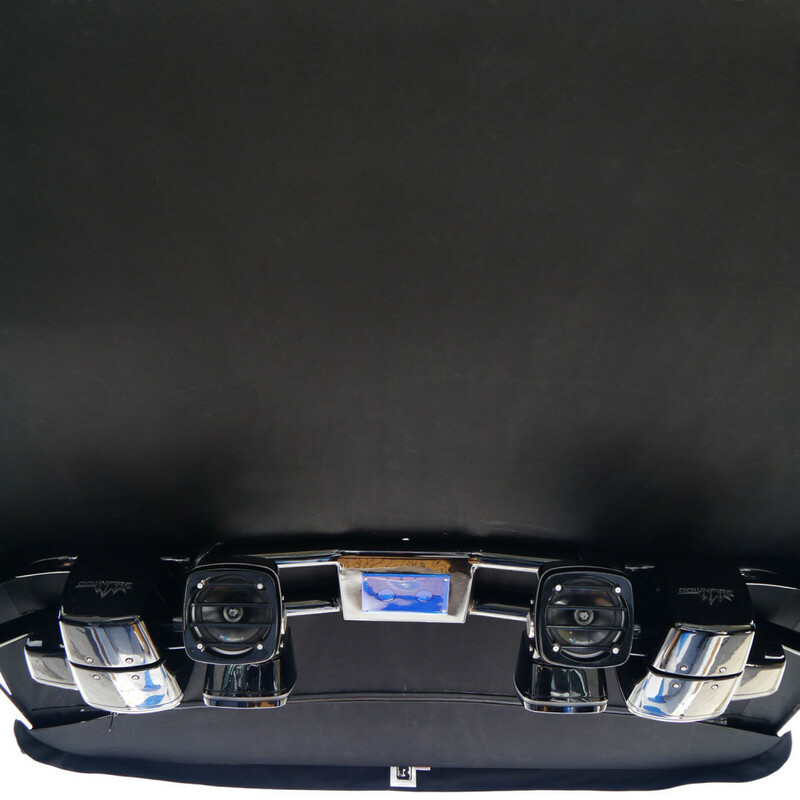 ), giving it higher grade components and materials than any other top in the towboat market. 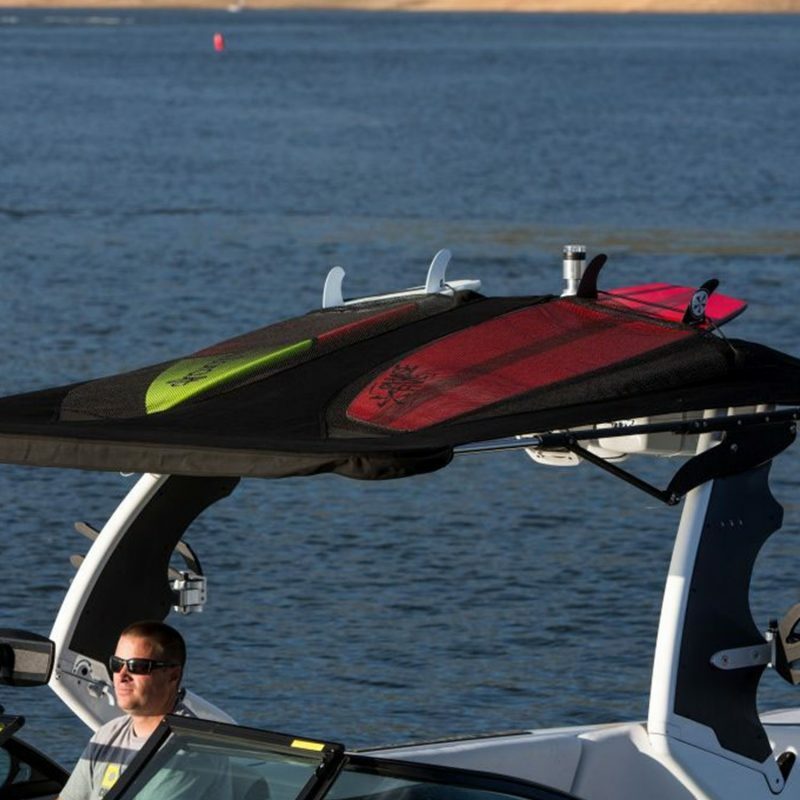 The built in surf sleeves are the most convenient storage option for wakesurf boards and are able to fit as many as 4 boards on top. Possibly the most impressive thing about the FCTv3 is that the fabric is backed with an unmatched 10 year warranty coverage, and the craftsmanship is backed with an unprecedented limited lifetime guarantee. 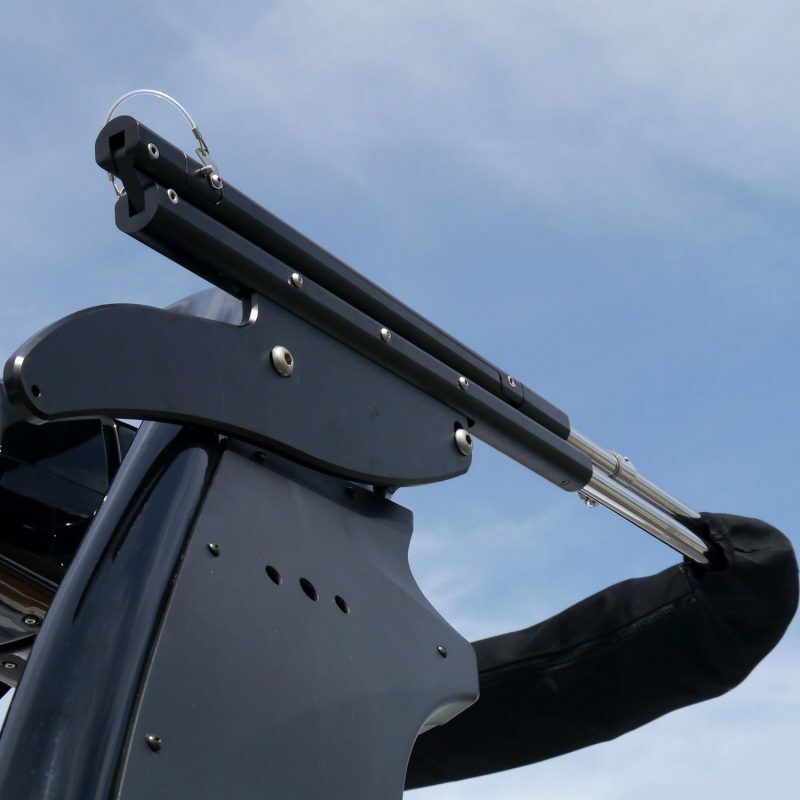 This coverage is not just better than that on other biminis but is stronger than the warranty on any other component on any boat, and that is saying something.